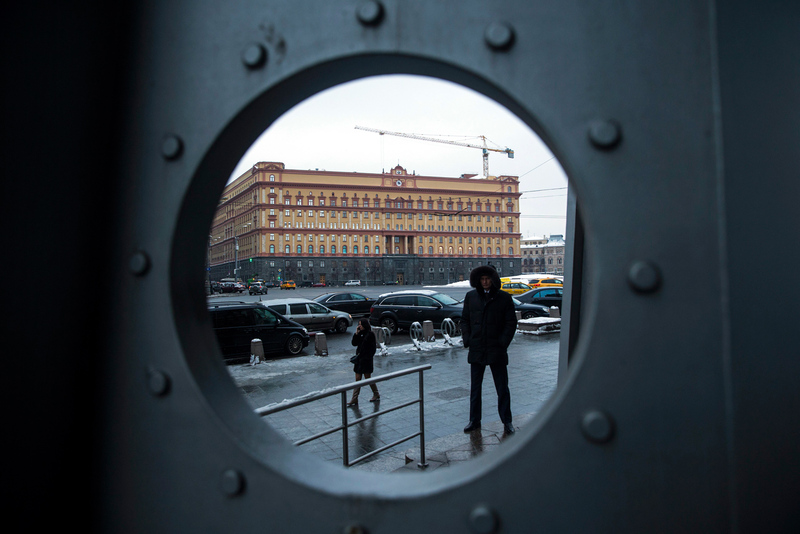 A security man stands in Lubyanka Square, with the main building of the Russian Federal Security Service, former KGB headquarters, in the background. The U.S. Department of the Treasury lifted Obama’s ban on contact with Russia's Federal Security Service. U.S. electronics suppliers can once again export to Russia. On Feb. 2 the Office of Foreign Assets Control, the sanctions arm of the U.S. Department of the Treasury, published a document on its website titled, Cyber-related General License 1. The document eases sanctions imposed by the Obama administration on Russia's Federal Security Service (FSB). Certain transactions and contact with the FSB are now allowed, and this includes requesting, purchasing and utilizing documents issued by the FSB for the importation, distribution or use of information technology products. In December, Obama banned U.S. legal entities from any contact with the FSB, which created problems for American electronics manufacturers that export to Russia. RBC reports that the new U.S. regulations eliminate risks for American companies. Russian laws stipulate that the import of any devices with an encryption function (including mobile phones) must be cleared by the FSB. The new regulations say the FSB cannot be paid more than $5,000 for any licenses and certificates. The document still bans the exportation, re-exportation or provision of any goods or technology to “the Crimea region of Ukraine,” and also prohibits the debiting of any Russian accounts blocked by previous U.S. executive orders as part of sanctions against Russia. Russian presidential press secretary Dmitry Peskov was mildly optimistic in regard to the Trump administration's decision. Washington never allows sanctions to impact its own vital interests, remarked Peskov, as reported by TASS.